hd00:11Beekeeping apiary. Colorful bee hives in village garden. Organic eco farming. Zoom out shot. hd00:08Beekeeping apiary. Colorful bee hives in village garden. Organic eco farming. Static shot. hd00:16Beekeeping apiary. 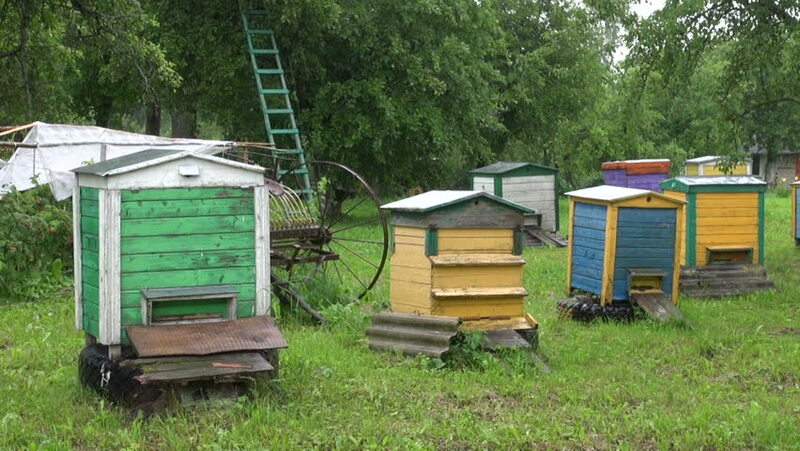 Colorful bee hives in village garden. Organic eco farming. Panorama shot.